After 25 years, Berlin celebrated yesterday the Fall of the Wall with a great and illuminated memorial. 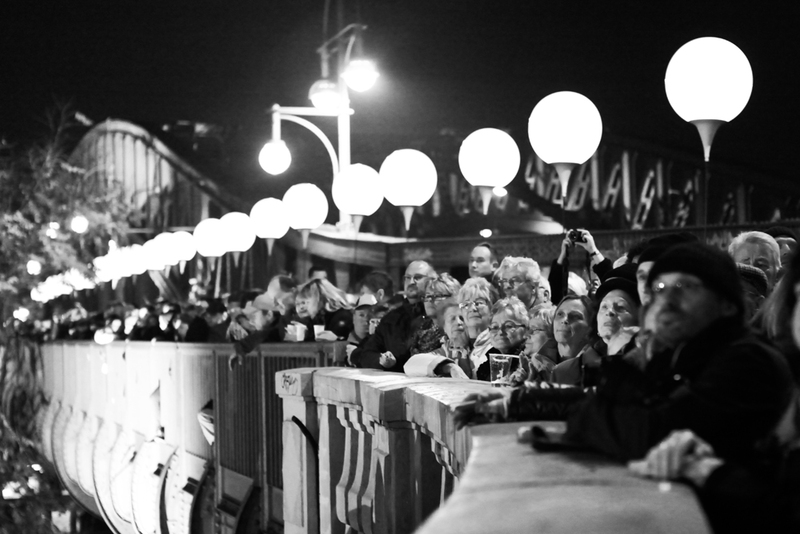 Thousand of people congregated this weekend in Berlin to see and feel this expected event, the shining balls that crossed the city simulating the Wall which separated the citizens for twenty-eight years. The Berliner Mauer is a symbol of freedom, union and conciliation but above all is a commemoration of all the persons who died there fighting to defend their human rights. As we know The Wall began as a concrete wall 2.5 to 3.6 m high created by the RDA who called it Antifaschistischer Schutzwall, an Anti-Fascist Protection Wall. To understand what happened there twenty five years ago we must speak about the most important events that took place on this days in 1989. The RDA citizens were demanding new measures against the prohibition of free movement and against of the government control, in several mass demonstrations. Following the resignation of Erich Honecker, Egon Krenz starts to lead the presidency, and looking for calming down the situation, asked to his department for a new Passport and Visa regulation. Gerhard Lauter, director of passports and records, was commissioned to fulfill this task. The surprising fact was that this new regulation was written and approved at 9 of November of 1989 without the government’s blessing and with some adjustments that contravene the guidelines given from the Politburo. The news were automatically published in a press conference by Gunter Schabowski, who knew nothing about the new adjustments and its date to enter it into force at 10th of November. 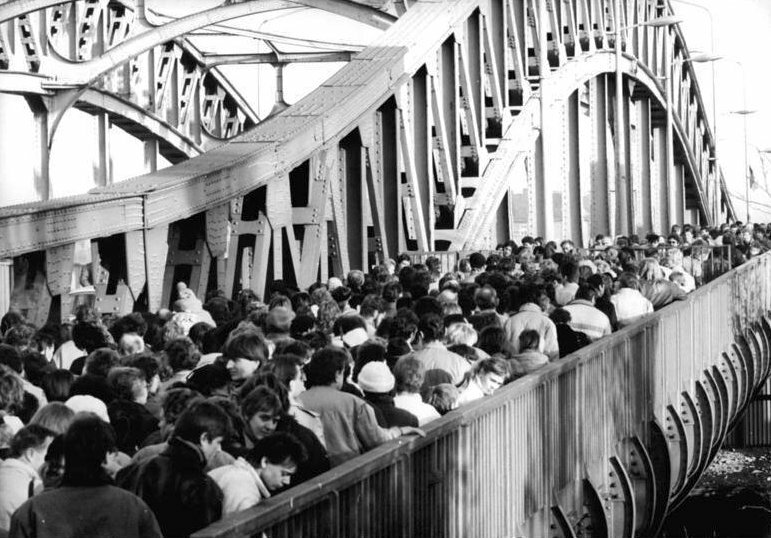 He said “ Ab sofort” and the berliner’s reaction was flocking to the border posts immediately before the eyes of the bewildered guards. Nerves and tension, tears, screams, emotion and anger, all them there waiting to see the doors open. As expected, the guards could not contain the population and started to leave them pass the barriers. 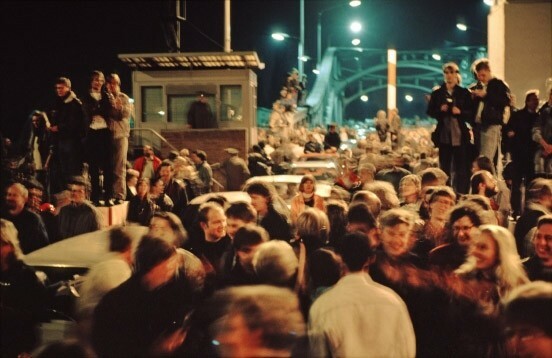 At the end, after all this events, through this wonderful night, the people who left East Berlin managed to go back to their homes and families. Brandenburger Tor was full of people concentrated there and all became true, The Berliner Mauer had fallen and they made it literally. 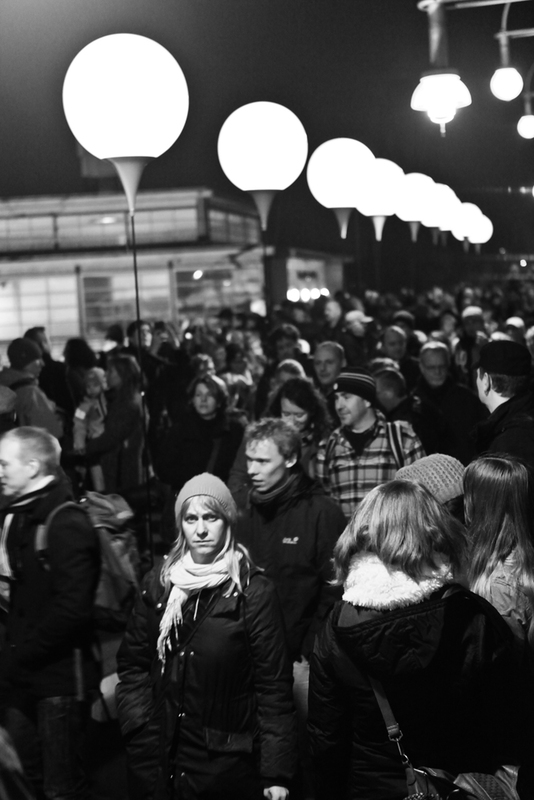 The change had begun and yesterday thousand of persons have revived this emotional moment again in the german capital.